As if Karl Lagerfeld, God of Chanel, or per his official title, “creative director “ for the house of Chanel, has not already taken over the fashion world in just a matter of four decades, he has also teamed up with Shu Uemura cosmetics to create his own line of makeup. The 17-piece collection will feature original hues from the mastermind himself and will be sold in over 400 stores worldwide. Not only is Lagerfeld a fan of these cosmetics, but he is also an avid user! As we stated when the news first broke, Lagerfeld paired up with Shu Uemura cosmetics because he uses the product for his own sketches. He thoroughly enjoys the shades and texture of each of the products he uses for his handmade creations. 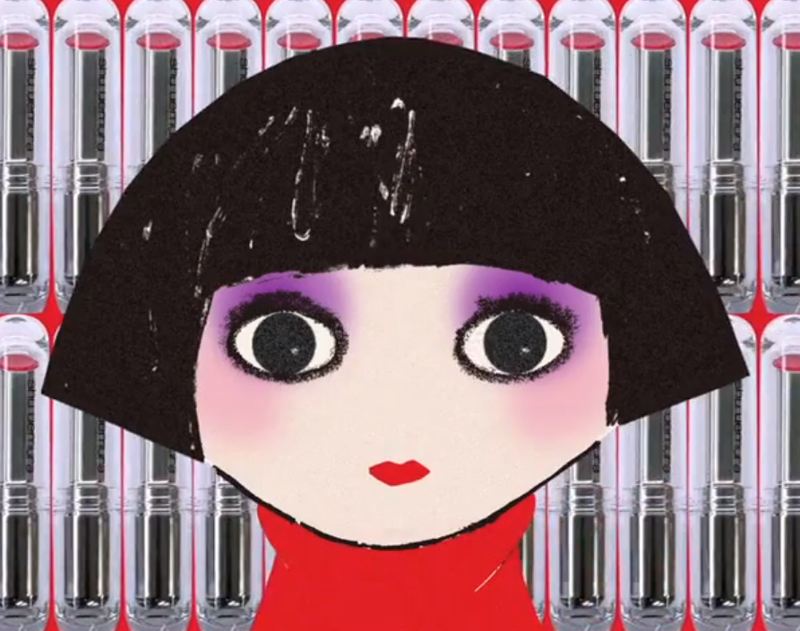 The highly anticipated beauty products are due to launch this September; however just to keep you on your toes and awaiting the “Karl Lagerfeld for Shu Uemura” collection, the company has launched a teaser featuring Lagerfeld’s newest muse, the “Mon Shu” girl. With the creation of this muse, Lagerfeld made sure to give his Mon Shu a chic wardrobe, makeup from his own line, and complete her with an Anna Wintour-esque bob. The playful one-minute clip gives an insight as to what to expect from this line: bright colors with a splash of sophistication.